Every bottle of wine must have a label, and that label must provide certain information about the wine. Some of the information on a wine label is required by the country where the wine is made. Other items of information are required by the country where the wine is sold. When the requirements are different in the two places, life can get very, very complicated for label writers! The U.S. requires certain information to appear on the front label of all wine bottles — basic stuff, such as the alcohol content, the type of wine (usually red table wine or white table wine), and the country of origin — but they don’t define front label. So sometimes producers put all that information on the smaller of two labels and call that one the front label. Then the producers place another larger, colorful, dramatically eye-catching label — with little more than the name of the wine on it — on the back of the bottle. Guess which way the back label ends up facing when the bottle is placed on the shelf? 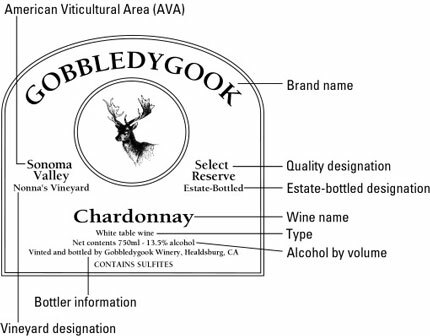 Figure 1: The label of an American varietal wine. Here’s some other terms you may find on the label of your favorite bottle of wine. Vintage year: The year in which the grapes for a particular wine were harvested. Reserve: Indicates that a wine has received extra aging at the winery before release. Estate-bottled: States that the company the bottled the wine also grew the grapes.